Member of Roundalab & So. Cal. RDTA. Started cueing & teaching in 1999. Cue for several clubs in Seal Beach/Downey area regularly. Attended Round-A-Rama, an accredited cuer/teacher institute in 2001. 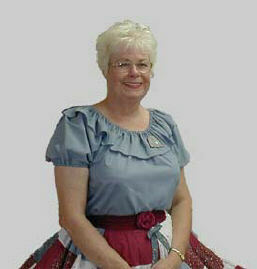 Have attended , cued & taught at conventions in Canada, Baltimore, MD, & CA. Having a good time dancing & teaching while establishing life long friendships.